• The show features over 200 exhibitors from 17 countries: Ski Build Expo - 47%, sport goods - 31%, travel companies + mountain-skiing complexes and hotels - 32%. • Each year, Moscow Ski&Board Salon attracts over 30 000 visitors - the lovers of sports and active recreation, active young people that set the trends in the sports communities, leaders of the sport companies, managers of travel companies, managers of sport stores, and representatives of mountain resorts. 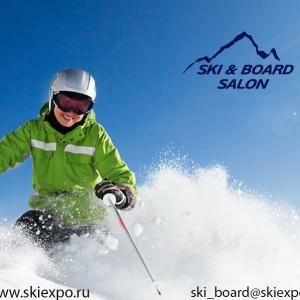 • Moscow Ski&Board Salon has a 24-year history; the first exhibition took place in 1993. • For the first time in the history of Russia, Moscow Ski&Board Salon featured an indoor artificial ski slope. Also, for the first time in history of Russia, Moscow Ski&Board Salon hosted a stage of the Rockclimbing World Cup. Moscow Ski&Board Salon features "Ski Build Expo", a "show within a show", Russia's first expo project dedicated to the construction of mountain resorts and mountain engineering. Ski Build Expo is Russia's unique expo project dedicated to mountain engineering.